We know the pressures you’re dealing with – residents want uninterrupted service, treatment plants want less I&I, EPA and State Environmental agencies want perfection (BODs, TSS, CBOD, BCT, BAT, etc. ), the piping is aging and much of it was designed for less flow than you have now, and there’s less money to fix things. 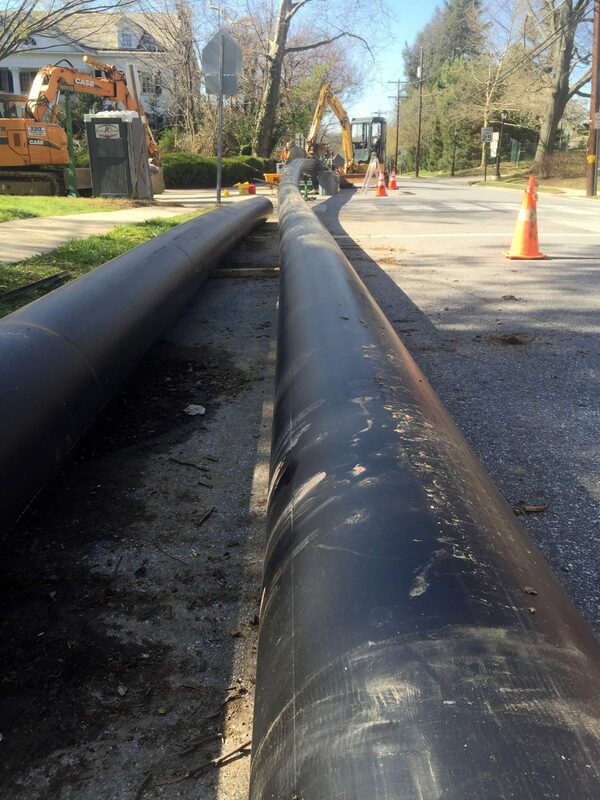 We work close with municipalities to put together specially designed solutions which combine whatever capabilities they may have in-house with the pipe bursting, slip-lining, or pipe lining capabilities we have. We save you money by not bringing to your job available skills or equipment you have in your own department. You should only pay for what you can’t do in-house. With the money you save, you can invest in more equipment, more repairs, or more staff. Call us to discuss your Municipal project. Remember we can even upsize piping with our pipe bursting equipment. We work on location at municipal properties including but not limited to City Halls, Consulates, Courthouses, Embassies, Fire Stations, Meeting Houses, Moot halls, Parliament houses, Police stations, Post offices, Prisons, and Assembly Halls.